UKIP FAILED LEADERSHIP CANDIDATE Rodney ATKINSON OPINES IN PUBLIC ON AV vs FPTP!! just as in the 2000 UKIP internal election one might well be justified in wondering if Atkinson would not be much happier living in Germany as all of his examples seem dependent on his opinions of Germany – One of the many reasons that it was clear to many of us that he was not a suitable as a leader for UKIP in those distant days! To keep preaching that The EU was a Nazi plot was a recipe for suicide we felt. It would seem to have proved so for Atkinson when actively campaigned against he LOST. That his thwarted personal ambitions still trouble him so long after would seem to indicate the members of UKIP made a wise decision in hind sight. Whether an AV system would have favoured his ambitions at the time is now of little relevance. He LOST and a bad workman can always blame the tools at his disposal – perhaps with hindsight he might understand why I have NEVER aspired to political office nor even joined a political party. No one who knows me or my work will doubt my absolute devotion to the cause of democratic sovereignty and withdrawal from the European Union. But like the vast majority who joined the party committed to that goal I left UKIP in 2000 after the disgraceful corruptions of the leadership election in that year. That behaviour indicated a fundamental instability in the democratic credentials of those who lead UKIP. It is now once again crystal clear, given their extraordinary short sighted support for the long term distortion of British politics by the Alternative Vote, that that leadership is a threat to British democracy itself. As the electoral commission confirms in it’s description of AV it is perfectly possible for the winning candidate to have LESS than 50percent of the vote. In other words the whole claimed purpose of AV is frustrated by its practice. And its practice is grotesque. Although not quite as disastrous as full blown PR, AV will guarantee permanent power for the same corrupt political class (from Kenneth Clarke and John Gummer to Ed Miliband and Keith Vaz to Nick Clegg and Chris Huhne) which has destroyed our economy, parliament and constitution over the last 20 years. And we should be under no illusions that once AV is in place full proportional representation will follow since the supporters of the latter will be helped into parliament by the former. In Germany since the 2nd World War the Free Democrats (electoral but not ideological equivalent of Clegg’s Lib Dems) have been in virtually every Government since the War. Hans Dietrich Genscher was Foreign Minister for many years because the electoral system gave him the power to dictate that to both major parties as the price of his joining them in coalition. Don’t forget – the major political parties, given decisive power by our existing voting system, are themselves coalitions, except that they are open. Coalition Government s however are constructed in parliament AFTER an election and are covert arrangements made behind closed doors by party leaders, at the cost of voters and back benchers. Most UKIP voters are fundamentally Tories or Labour and would return to those parties when sovereignty is restored. But Tory and Labour (ie the vast majority of British voters) will be greatly disadvantaged by AV while most anti UKIP voters are LiB Dems and Greens who are fanatical about AV because it will give those otherwise unelectable parties permanent seats in coalition governments. 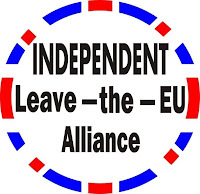 And with angry patriotic Socialists outside Labour and angry genuine Conservatives outside the Tory Party the leaderships of both parliamentary parties under AV will join with the Lib Dems and the Greens rather than cooperate with UKIP MPs – if there are any. So while there MAY be short term opportunist advantage for UKIP’s individual leaders who fancy a seat in the House of Commons the long term political result will be the permanent defeat of those very principles which UKIP voters hold dear. The reason why fewer and fewer people vote for the “major” political parties is not becasue of the electoral system but because British politics is morally and politically bankrupt. Most have given up voting altogether – although AV will not give the angry abstainers any box to tick! AV is a stitch up, a gross manipulation of the people in the guise of “giving them more votes”. More votes means less power to the voter and more power to politicians behind the scenes – as the Condem coalition proves every day. AV has all the attributes of bad law – it is complicated, not generally understood, difficult to scutinise and therefore open to fraud, gives some voters more power than others and the rulers more power than the ruled. To that extent it is perfectly in harmony with the petty fascist society created by the British political class, to which the British people are turning their backs in utter comtempt. A class which UKIP now foolishly seeks to join. how unfortunate that poor Rodney Atkinson has so clearly never understood the British electoral process – It has always been the custom to campaign for those one believes to be the best to win it. At the time there were those who believed that he was NOT the suitable leader and that he has led nothing before or since to my knowledge may well prove the point. That he has been the adviser to some, by their choice, is not in dispute but I do believe he was NOT the best man to lead UKIP of those available, at the time. My opinion was endorsed by two of the leading political commentators of the time Bill Jamieson and Christopher Booker. The corruption of which he speaks would seem largely to have been on his part subsequently with his vitriolic sour grapes – churned out to support his deeply challenged ego. That Jeffrey Tittford won by a tiny margin in 2000 was a huge relief, though he was far from a good leader he was at least not a divisive leader and he had the experience of having held positions of leadership elsewhere. Sadly UKIP has never attracted anyone of sufficient competence to lead it forward and thus it is dependent on a series of inadequates as leaders, but where the election has been based upon honest campaigning the best man has tended to win. That their lack of direction now, relative to the interests of Britain, is clearly subsumed to a malign claque of inadequates and political pygmies currently in leadership and their parasites is indisputable and self evident. That their current titular leader holds his position by dishonest means is indisputable and may explain his inadequacy as a leader! However with a period of stability after the 2000 election that was granted by that tiny majority, the party developed through the years of Titford & Knapman, all be it uninspiringly. Ssubsequent leadership has removed any foundations and grown the party as a bubble based on outright lies, abuse and self service – unfortunately. It is questionable if UKIP exists other than in the form of a bubble and may vanish as irrelevant as were many of the aspirants to office as with many who achieved office. I do concur Atkinson’s views of AV in the main, but the need to tread his sour grapes on the issue makes for a very poor grade of tonic. The point overlooked by many is who gives a damn how Politicians are selected in Britain – they have betrayed our Country and no longer have any say in law making and thus attract mere self serving dross. How one stacks such matter in a farm yard is a matter of little consequence, and the strutting cockerel atop the dung heap is just a noisy popinjay – Sounds much like UKIP does it not? But look about you and what party is not thus?